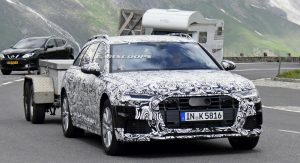 The Audi A6 lineup continues to grow as spy photographers have snapped the first photos of the new A6 Allroad. 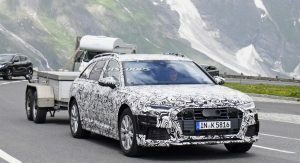 Based on the A6 Avant, the Allroad has a familiar design but it has been equipped with an assortment of subtle styling features that set it apart from the traditional wagon. 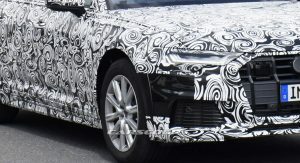 While the car is heavily camouflaged, we can it has plastic fender flares and unique side skirts. 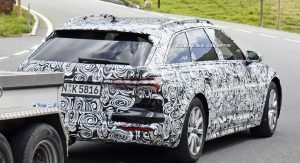 A closer inspection also reveals an increased ride height and a modified rear bumper which is partially hidden by the prototype’s trailer. 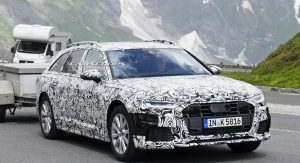 Additional styling changes are hard to spot but it appears the Allroad will have a unique grille with six vertical chrome strips. 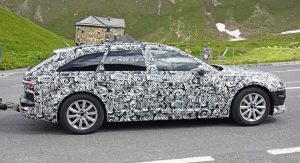 The change is relatively minor but it mirrors the previous A6 Allroad which also used vertical strips to differentiate it from the A6 Avant. 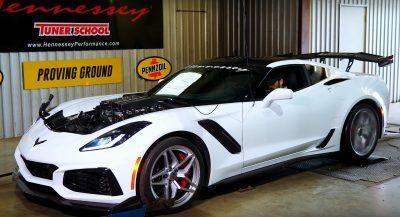 While the exterior will have a handful of unique styling touches, the cabin should largely carryover. 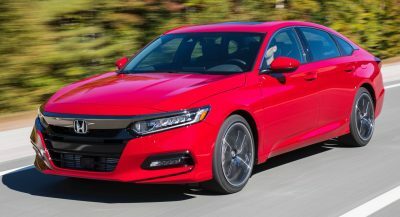 As a result, we can expect a high-tech interior with a 12.3-inch digital instrument cluster, a 10.1-inch infotainment system and an 8.6-inch lower display for climate control and convenience features. The wagon won’t be able to tackle extreme off-road conditions but it will offer plenty of cargo space. 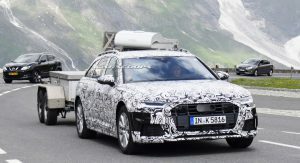 If the A6 Avant is any indication, we can expect the model will be able to hold up to 1,680 liters (59.3 cu ft) of luggage when the rear seats are folded down. 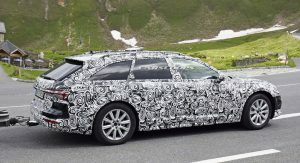 Engine options will carryover from the A6 Avant and the model will be offered exclusively with a quattro all-wheel drive system. 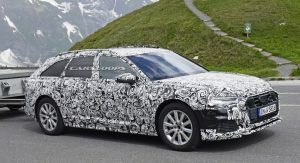 Specifications remain unconfirmed but the wagon should be available with a turbocharged 3.0-liter TFSI V6 that develops 335 hp (250 kW / 340 PS) and 368 lb-ft (500 Nm) of torque. There should also be a 3.0-liter TDI V6 engine with 282 hp (210 kW / 286 PS) and 457 lb-ft (620 Nm) of torque. Off road? Really? Maybe gravel road. Nobody would use an Audi for serious off-roading. They just aren’t designed, built or reliable enough for it. 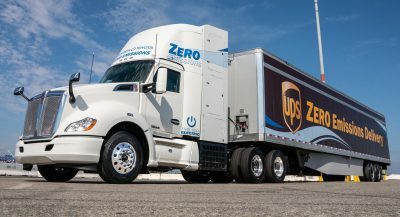 I noticed the lack of ground clearance before I finished reading the headline. I know, right! My 370z has more ground clearance than this station wagon.